The Hon. John Rafferty L’73, retired Los Angeles Superior Court judge, marched at the head of the Los Angeles Gay Pride Parade, hours after the tragic event in Orlando. 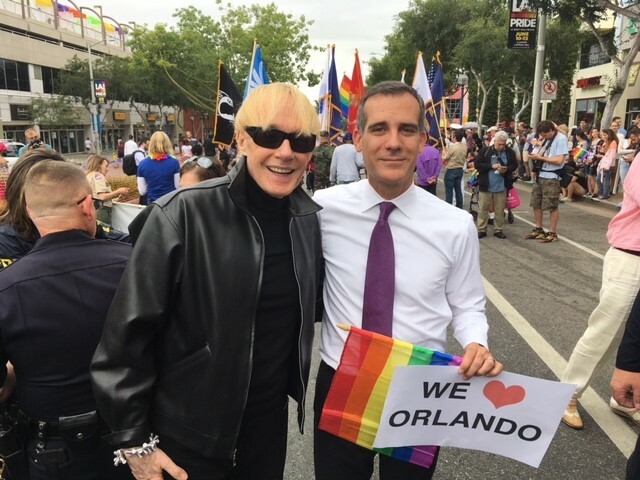 He was invited to the march by Los Angeles Police Department Chief Charles Beck and was joined by Los Angeles Mayor Eric Garcetti. Judge Rafferty noted, 'The horrific massacre in Orlando, the largest mass killing on American soil since 9/11, is but the latest such abomination, which is now occurring frequently. The particularly heinous nature of this attack made every American of good will, no matter what his/her race, ethnicity, religion, gender or sexual orientation, cringe with horror and profound sadness. Words of outrage and support will not curb this intolerable plague. It is time for our national government to institute changes, which will accomplish that.'"